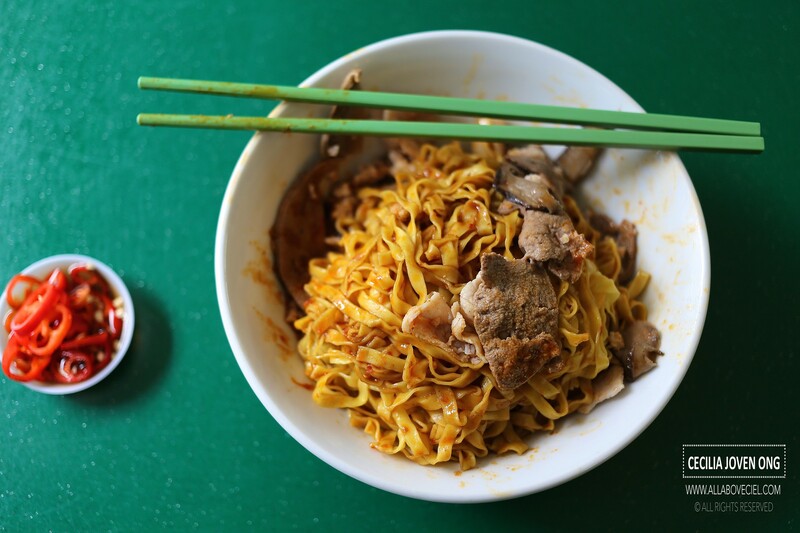 I am a big fan of Bak Chor Mee and i have been going around eating it from different stalls at different places, this is so particularly after the closure of Joo Heng Mushroom Minced Minced Pork Mee at Ang Mo Kio. I have tried many Bak Chor Mee including the famous ones but none has taken over the place of Joo Heng's as my favourite Bak Chor Mee yet. I was so crazy about them that i could eat 2 to 3 times per week. I was still a regular customer even after they raised their prices a few times. They closed down all of sudden, that stall was then converted to a drink stall managed by the Auntie. I have never see the Uncle since then. I guess something must have happened to him. That stall only lasted for a while before it closed down due to poor business. Currently, my regular choice whenever i am craving for Bak Chor Mee is Seng Kee Mushroom Minced Pork Noodle at Serangoon Garden Food Centre. The taste of it somewhat reminded me of Joo Heng's. 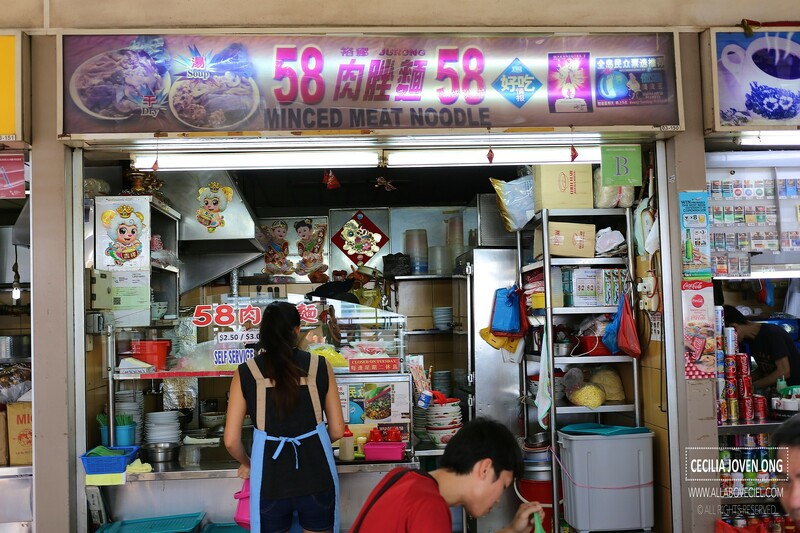 I have heard about 58 Minced Meat Noodle. I am even curious enough to travel from Ang Mo Kio all the way to Taman Jurong just to satisfy my curiousity to know how good are they. I was there near 2 pm and there was no queue. I was told the queue is usually long during lunch time. 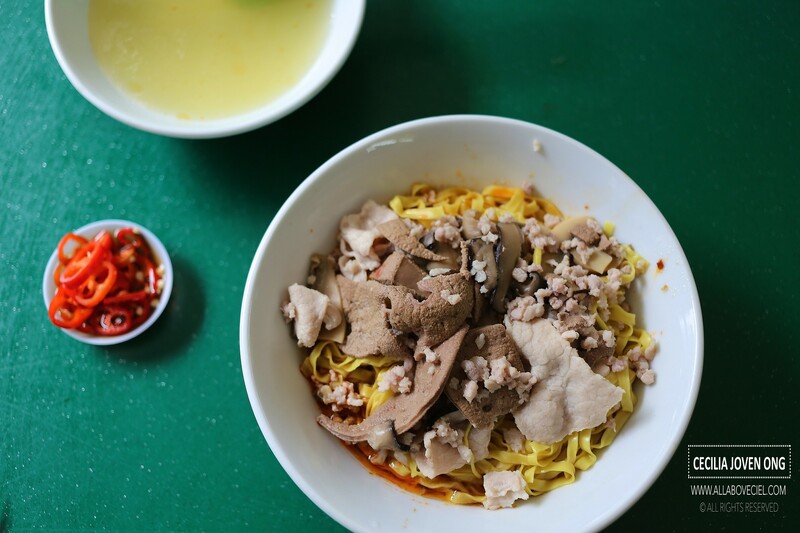 Their Bak Chor Mee is available at $2.50, $3.00 and $3.50. Needless to say, i went for the larger bowl. As i was the only customer then, i gotten my order in just a couple of minutes. I requested to have extra chilli to go with my mee pok. The first impression was the generous amount of ingredients like minced pork, pork liver and braised mushroom, bits of crispy pork lards were also added to enhance its flavor. To enjoy this bowl of noodles, you have to thoroughly mixed the chilli which is underneath that pile of noodles well. The level of spiciness was just right. I reckon this is one of the better Bak Chor Mee after i had my first mouthful. The mee pok was nicely cooked to retain its springiness. I particularly enjoyed the few big pieces of pork liver, it was of the right thickness and perfectly cooked to a desired tenderness. I would have be one of their regular customers if it is not of its location. I would also be more than willing to pay $3.50 for such a bowl of noodles, this is one of the cheaper and better Bak Chor Mee that i have ever eaten. Hi Cecilia Joven Ong. This Stall Closes Every Tuesday. Phone:93686070.